Marybola is a personal passion made true. 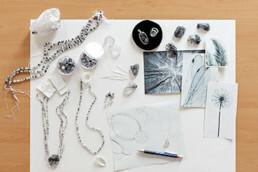 A universe created by the young designer Gloria Gomila, a Menorcan attracted to the world of minerals and gems. In a few years, Gloria changed the artisanal summer markets in Menorca, selling bracelets, for starring at the most important fashion runway in Spain, the MBFW in Madrid. For her, jewels have the capacity to contain feelings, as well as enhancing the purest and most natural beauty. 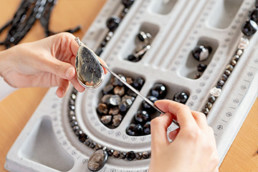 Each jewel is designed and made in Menorca by Gloria with the collaboration of professionals who take care of each tiny detail. 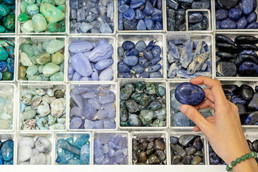 Gloria personally selects the best minerals and materials, one by one. 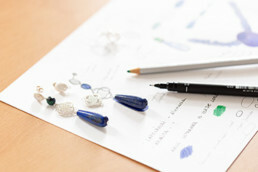 Marybola offers an exclusive product, a unique jewel using materials such as precious and semiprecious stones. All these gems have been treated with care to end up as a jewel for the collection. The designer attends national and international fairs looking for the latest news and materials in order to improve her technique, exploring and innovating. At Marybola’s workshop we put love and dedication into our work. 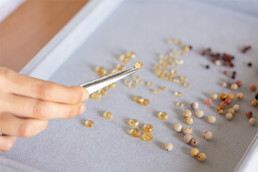 Our principles are based on quality, transparency and, above all, sustainable and environmentally-friendly work; and for this reason the development, exhibition and packaging of the jewels, all comply with our philosophy of respecting mother Earth. 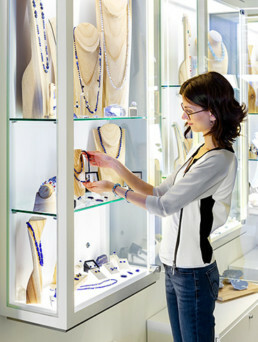 We always use noble materials such as silver, gold but also wood, which can always be reused or recycled in the future. Day to day Marybola is transforming, growing and evolving, alongside all the people involved in it. We seek inspiration in the unique experiences offered to us by our surroundings. We create each piece with eagerness and excitement, as if it was our very first. “Marybola is more than a jewelry brand, is a life project, a way of being and a way of giving others a part of us”.